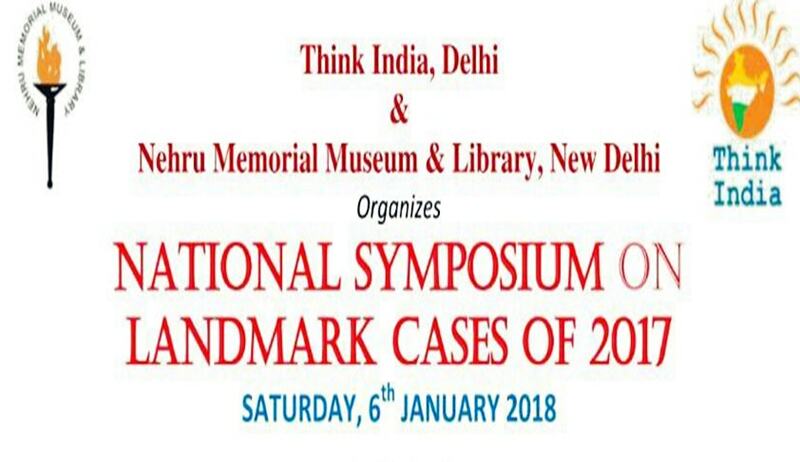 Think India and Nehru Memorial Museum and Library are organising the National Symposium on Landmark Cases 2017. The symposium will be held in New Delhi on 6th January, 2018 at the Nehru National Museum and Library, Teen Murthi from 9 AM to 5 PM. This event will comprise of discussion by a wide range of imminent advocates, lawyers and jurists who will be speaking on landmark issues of the year 2017. Queries can be directed to Rahul Chaudhry on +91 88597 74466.